FITNATIC deals for November 24 - 26! Can you believe all the deals we have going on for this holiday season? AMAZING in-store savings! 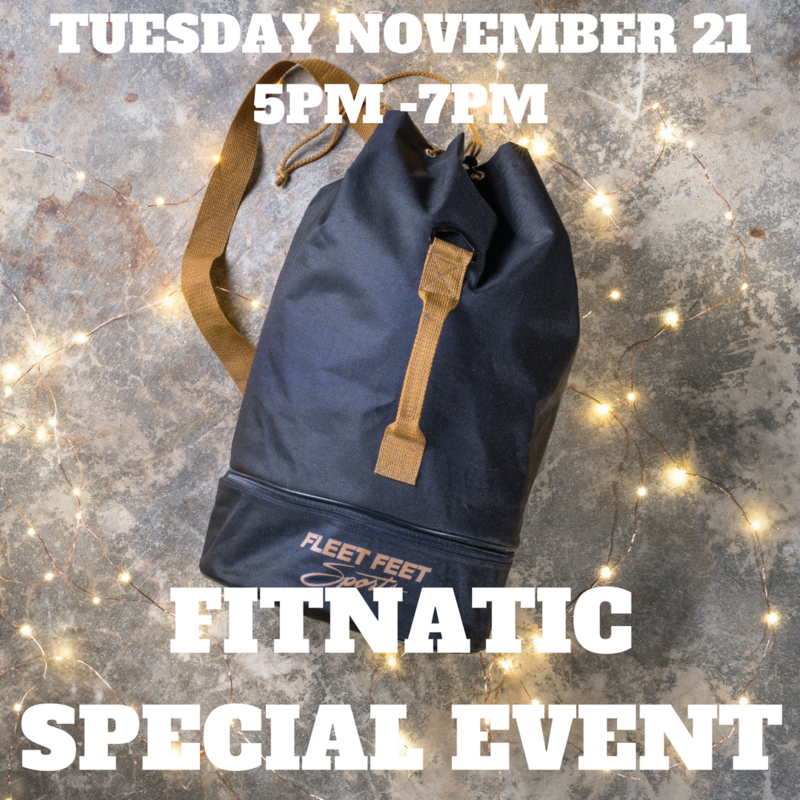 Join us Tues, Nov 21 from 5pm- 7pm for a Pre-Black Friday Event. The first 20 customers will get this FITNATIC duffel bag for FREE! 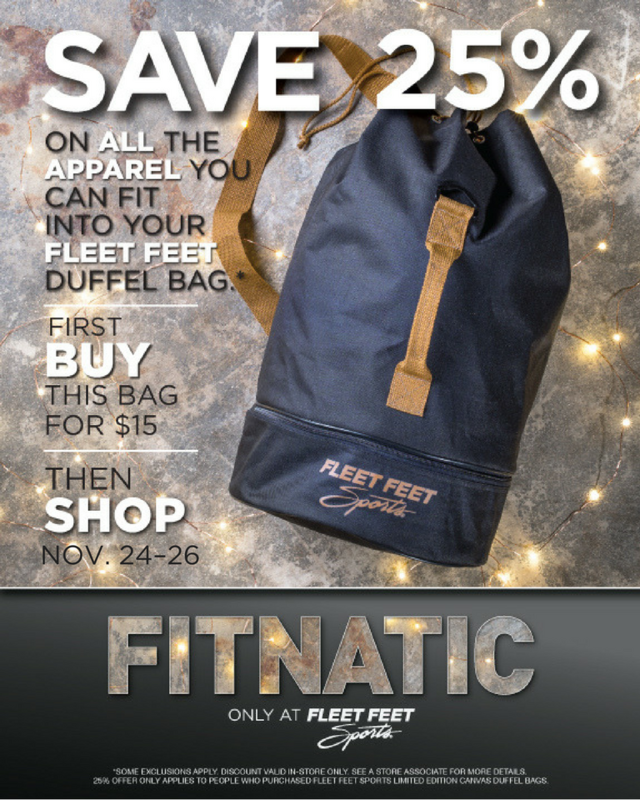 Others can purchase the bag for $15 and everyone can enjoy our FITNATIC sale of 25% off all the apparel you can fit into your duffel bag! 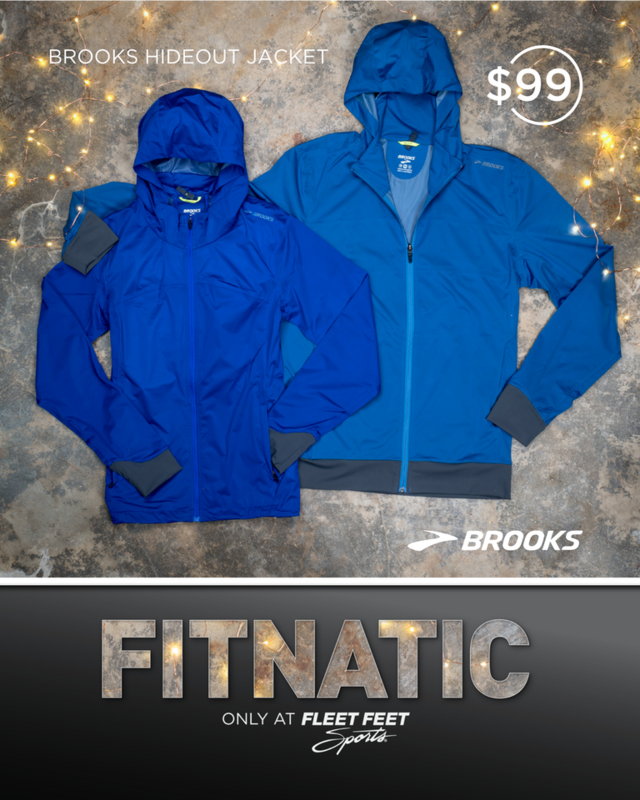 The Brooks Hideout Jacket is currently in store and ON SALE for $99 instead of the regular price of $150! The $15 Fitnatic Duffel Bag are ready for purchase. Fill these up during the Nov sale and get 25% off on all the apparel you can fit inside!